Aside from the fact that the current President of the Philippines Rodrigo Duterte came from Davao City, it is also famous for another thing, Durian. The phrases "king of all fruits" and "taste like heaven but smells like hell" all refer to Durian because of it's pungent smell when ripe. This fruit is famous in Southeast Asian countries like Malaysia and Thailand. 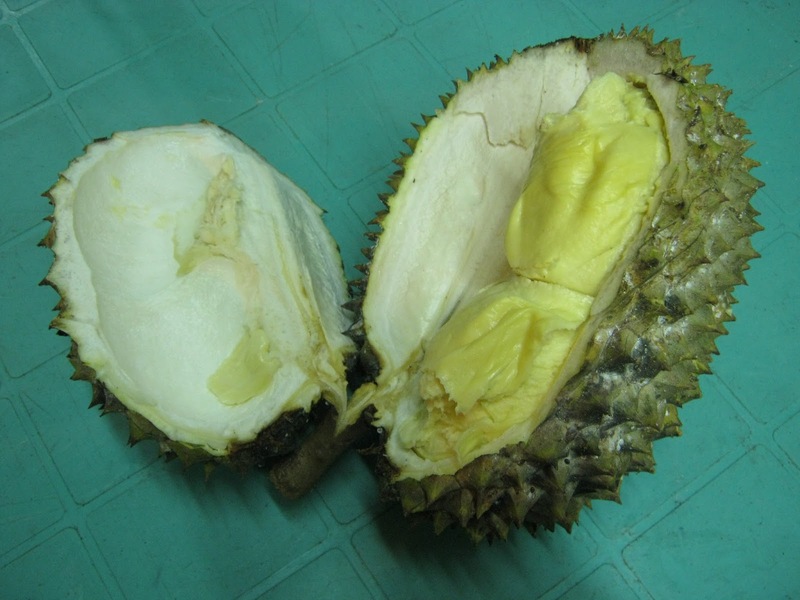 And as indicated earlier, here in the Philippines, Durian is indigenous in Davao region. So if it happens that you're in Davao City between the months of August and November, here are three places where you can have the best deal for this incredible fruit. There are fruit stands outside Magsaysay Park, a piece of land named after a former president of the country. Here, you'll find different types of fruits depending on which part of the year. But during the Durian season, the notorious fruit dominates them all. You can get to eat Durian for a price of 60 Pesos (1.20 USD) per kilo. Each vendor offers a set of tables and chairs where guests can eat in front of the stalls. 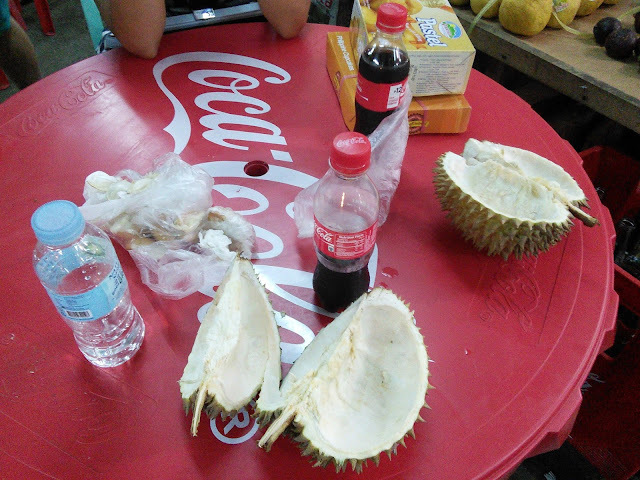 And since many claim that Durian is best eaten with soda, you can also buy a liter of soda for 35 pesos (0.70 USD). Another place where you can get a good deal for Durian is in People's Park, another public park in Davao City. You can basically get a Durian here with the price of about 80 Pesos (1.60 USD) per kilo. Bangkerohan Market will likely give you the best deal for Durian. You can get it for as low as 50 Pesos (1 USD) per kilo. Depending on quantity and type of Durian, it can even be bargained for a lower price. Mangosteen and Pomelos are also cheap in these locations especially during their seasons. Harvest season for Mangosteen is usually from July to September while Pomelo season starts August and ends in December. So to catch these fruits altogether with Durian, better be in Davao in the month of September. You'll see abundance in fruits at crazy cheap prices.